Similar to my pointless slaying and looting random character generator, but this one just randomly spends a given amount of points on attributes and secondary characteristics. 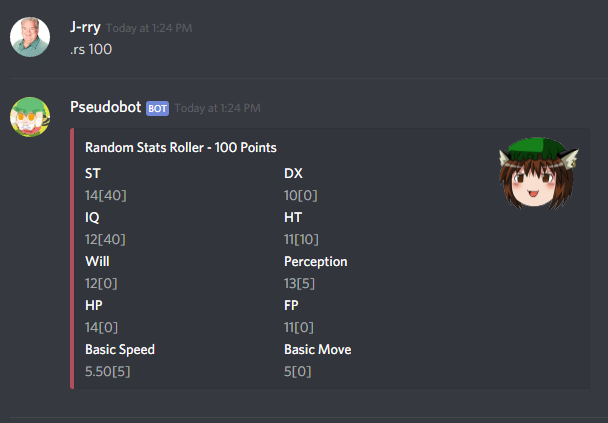 Now you can have "balanced" random stats if that is your thing. I dunno why I made this, but I did.